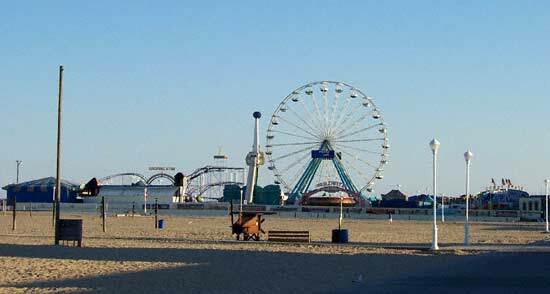 In May of 2005 I got to go to Maryland's Eastern Shore for work and one evening I had the chance to head on over to nearby Ocean City for a stroll along the boardwalk and around a couple of the local amusement parks. 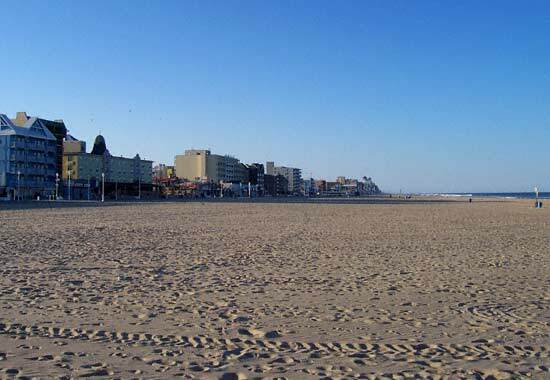 Ocean City like many seaside communities is built up right next to the beach. 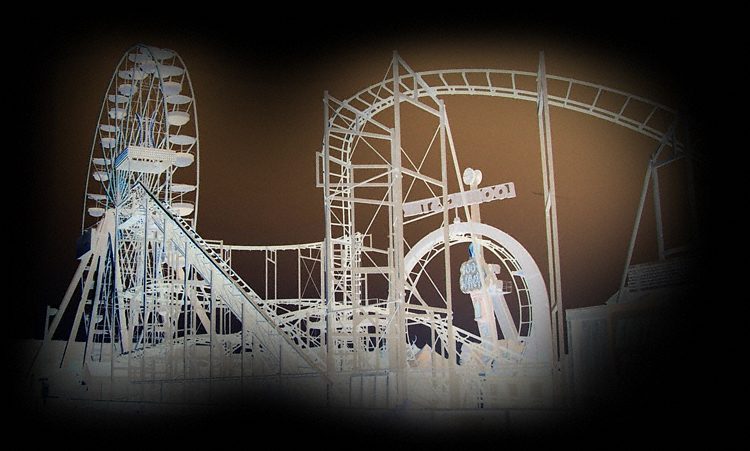 You've got to love the view of a seaside amusement park built out over the beach. 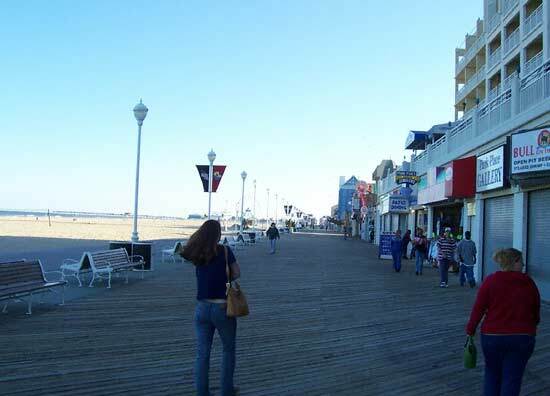 You can't have a boardwalk without the boards. 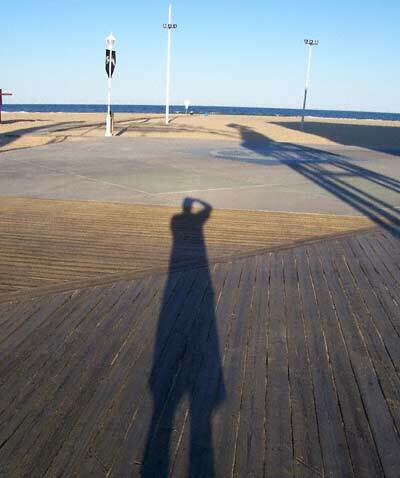 As you can see from my long shadow I didn't have a lot of light left before night came.